Commercial carpet cleaning could be very similar to residential carpet cleaning. It all really depends on the square footage and the type of carpet installed. Residential carpets, the way we all know it from our home, is a soft carpet to touch with a layer of pad underneath. The pad makes the floors softer, while also providing insulation for noise and temperature. Nevertheless, most commercial carpets are glued down carpet. That means the have no pad to insulate, but actually they are glued to the surface. In some cases commercial carpets are laid on commercial pad. Commercial pad is much thinner than residential pad, but more durable and coarse.Therefore, the approach for commercial carpet cleaning in many cases will be different than residential carpet cleaning. 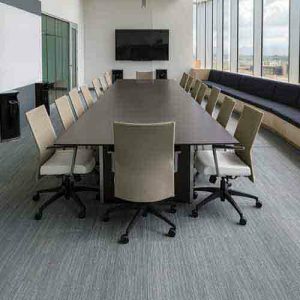 Commercial carpet is designed to take a lot of beating, so, when it comes to commercial carpet cleaning, a key factor is being able to buffer the carpet and penetrate every fiber with the right carpet cleaning product in order to reach maximum results. Yet another aspect of commercial carpet cleaning is the large amount of carpet that needs cleaning. Many businesses and office buildings have well over 5,000 square feet of carpet. That means a few hours of work that are determined by the previous carpet cleaning that was done. If a commercial carpet was well maintained, it would be much easier to keep and well being of the carpet. However, if the carpet was neglected and did not get the proper cleaning, a deep steam carpet cleaning might be the main and best option.When approaching commercial carpet cleaning with a deep steam cleaning method, it makes the job much harder and increase the time and product used. Therefore, when a commercial carpet is not cleaned periodically, it will build up enough dirt that would demand a deep and meticulous cleaning. Anaheim has a commercial district that is full of buildings that are in a need for extensive care. 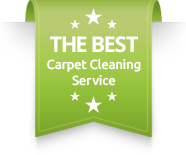 Therefore, we offer great commercial carpet cleaning packages for all new and return businesses.Please contact Dr. Carpet Anaheim for more information about our commercial carpet cleaning Anaheim.